"Clients are encouraged to visit one of FAS’s state-of-the-art design centers. At each of these 14,000-square-foot facilities, customers are seated in comfortable leather chairs positioned around a 42" plasma flat-screen television—where the extensive line of products is showcased—and given a tour of the warehouse, where full-size windows and doors are on display." 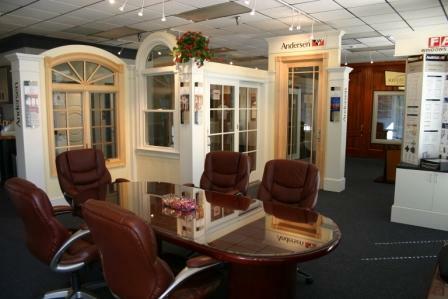 We'd love to invite you to visit one of our Showrooms to personally visit with us, meet our Installation Manager, see our warehouse facility and most importantly view a full sized sample of the numerous product lines we carry.